Do you ever get that rush of energy and desire to just dance and never stop? Of course you do. Events like music festivals are a great way to unleash the dancer in you. They bring people together from all around the world to experience the magic of music. After that, you return home satisfied with an experience that will never be forgotten. You have the perfect excuse to bring your closest friends together and have a weekend to remember or you can meet new people and make new friends along the way. Either way, exposing yourself to young and vibrant people will definitely add more to the fun. We know that people have different tastes in music. Therefore, music festivals offer many stages to attract and entertain a large crowd. From solo artists to bands, you and your friends will be exposed to different genres. 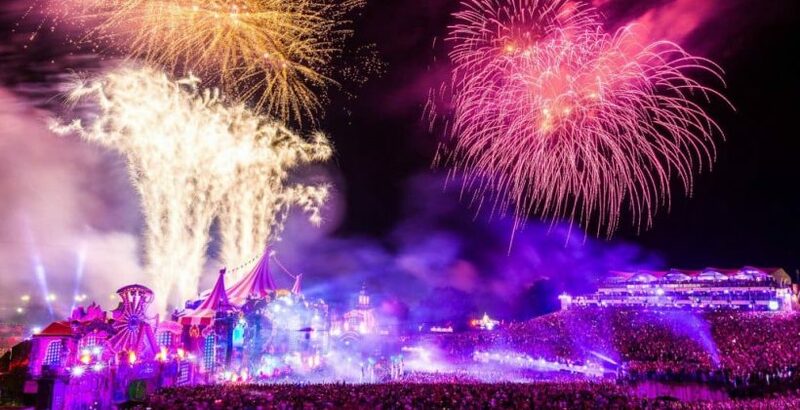 If you’re attending a music festival, you will definitely notice all the positive energy around you from the people that stand and dance beside you. The crowd will offer a sense of unity, solidarity, and love, where you’re free to be yourself without having to worry that someone will judge you. Furthermore, you can get creative and decide to wear a costume to a music festival. Some festivals like Coachella have been known for their bohemian dress code. You can choose to create your own costume with your bare hands or you can buy a costume from a store. Either way, you will still have a great time. Music artists are not the only artist you will meet there. While they do their job on the stage, other creative people sell T-shirts and even bring their accessories to perform for the people resting on the grass. Gloving and hula hoops are getting more and more popular at festivals. If you’re not hooked yet, you should take a look at how well decorated the music stages are. Festival designers put a lot of effort into decorating them so that they look amazing. Accompanied by waterworks on stage and fireworks in the sky, you will be taken away by their beauty. Make sure to have your phone with you to capture the wild beauty of the music festivals as well as the memorable moments you share with your friends. Music festivals will leave you with a sense of satisfaction and an unforgettable experience.